Mt. Carmel Evangelical UMC remodeled a men's and women's bathroom off the fellowship hall for the purpose of making them accessible for wheelchairs and persons with other disabilities. They removed old stalls to make the rooms more open and installed hand rails on the walls in each room. They also removed the old hand sinks and installed new hand sinks that can be used by someone in a wheelchair. 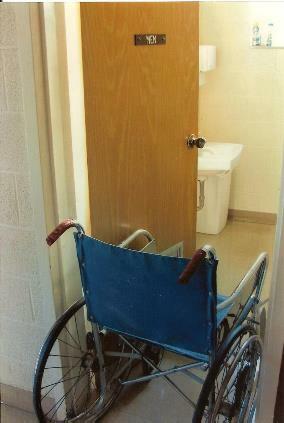 They also had to install wider doors at the entrances of each bathroom to make them wheelchair accessible. 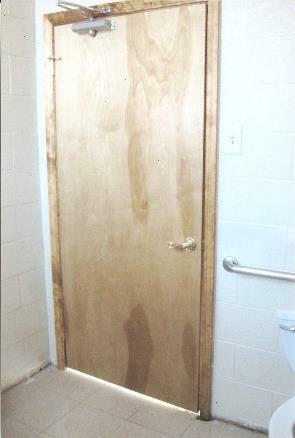 The grant money was applied to the installation of the new doors. Some of the ceiling work and all of the painting was done by volunteers from within the congregation.